Commissioned by Vote Vets, a left-leaning political action group which advocates on behalf of U.S. veterans, the poll shows that Americans are both paying attention to—and increasingly worried about—the tensions stirred by President Donald Trump’s bluster and threats towards North Korea and fears that Pyongyang may itself try to launch a nuclear attack. 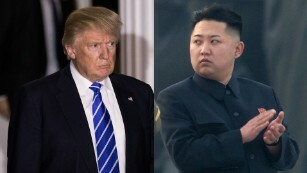 The new poll arrives after Trump on Thursday said maybe his recent threats to bring down “fire and fury” against North Korea were not “tough” enough and ahead of upcoming (and large-scale) U.S.-South Korean war games which foreign policy analysts warn will only exacerbate tensions. China will remain neutral if North Korea fires missiles at United States territory first, but should the U.S. launch a pre-emptive strike, as it has suggested it might, North Korea’s chief ally would come to the North’s aide. While not direct government policy, that verdict of how the country should react amid the unfolding nuclear threats from the U.S. and North Korea is contained in an editorial in the influential Communist Party–run Global Times newspaper Friday. In a glimmer of hope that a military conclusion to the North Korean crisis may yet be averted, Russia’s foreign minister Sergey Lavrov said that “Russia does not accept a North Korea that possesses nuclear weapons”, cautioned that there is an “overwhelming amount of over-the-top belligerent rhetoric on North Korea’s nuclear and rocket programs from Washington and Pyongyang”, but most importantly said that there is a joint Russian-Chinese plan to defuse the North Korean crisis, according to which North Korea would freeze its missile tests, while the US and South Korea would stop large scale exercises. It was not clear if Russia or China, had floated this plan with the US or S. Korea prior; the most likely answer is no. Of course, reasonable plans for compromise that North Korea would be willing to accept have been offered to Washington before and rejected. An interview with Noam Chomsky a few months ago discusses this history. So, the chances of such a compromise being accepted by Washington now does not look optimistic, even though South Korea has announced its intentions to go all out to prevent any war with North Korea as it knows the damage it would suffer from any military attack unleashed by the North. The new president of South Korea, who campaigned as a peace candidate, made the following public remarks earlier this week, according to the Economic Times of India. “There must be no more war on the Korean Peninsula. Whatever ups and downs we face, the North Korean nuclear sitaution must be resolved peacefully,” said Moon in opening remarks at a regular meeting with senior aides and advisers. The remarks were provided by the presidential Blue House. The following day, Moon made comments in a televised speech, intimating that Washington and South Korea had an understanding that no military action was desired and none would be taken without South Korea’s permission. Moon, in a televised speech Tuesday on the anniversary of World War II’s end and the Korean Peninsula’s liberation from Japanese colonial rule, said Seoul and Washington agree that the nuclear standoff should “absolutely be solved peacefully.” He said no U.S. military action on the Korean Peninsula could be taken without Seoul’s consent. Reportedly, General Joseph Dunford met on Monday with top South Korean security officials and subsequently made comments that don’t seem to totally line up with Moon’s understanding, which seems to be based more on wishful thinking. For some depressing context as to why North Korea feels the need to defend itself against any possible aggression from Washington, watch the following video where Jimmy Dore discusses how the U.S. military utterly flattened the entire country and killed millions of civilians during the Korean war. The devastation was so massive that General MacArthur said it made him “vomit.” An accomplishment that the DOD still brags about on its twitter account. With North Korea taking up so much attention – attention that was once obsessively focused on Russia – it’s easy to forget about the third country that was the target of the recent sanctions legislation passed by Congress and reluctantly signed by Trump. Iran is none too happy about having new sanctions levied on it – in addition to still having some of the original sanctions that were supposed to be lifted as a result of the agreement with the P5+1 still in place – after holding up its end of the bargain as recently certified by the Trump administration. It should be said that the latest US sanctions on Iran – which basically target certain individuals and companies in Iran, and which attempt to block arms to and by Iran – are pinpricks. The arms blockade on Iran the US is now trying to impose is especially absurd since the only countries which have shown any interest in selling sophisticated arms to Iran are Russia and North Korea, whose arms companies the US is already sanctioning, and which has no reason therefore not to sell arms to Iran. Unsurprisingly the Russians have reacted to the sanctions – both those imposed on Iran and those imposed on themselves – by offering to step up their arms sales to Iran. Russian Deputy Prime Minister Dmitry Rogozin – the Russian official who supervises Russia’s arms industries – recently visited Iran, where he supposedly offered the Iranians SU-27 and MiG-35 fighters (the Iranians supposedly said no because they want SU-35s and SU-30s instead). Needless to say if North Korea were ever to offer to sell its ballistic missile and nuclear weapons technology to Iran – as it now has every incentive to do – the development of Iran’s ballistic missiles and – conceivably at some point – nuclear weapons would also accelerate rapidly. An additional response has come from reform president Rouhani, who has staked his political reputation on the negotiated agreement with Washington against domestic hardliners who don’t trust Washington as far as they can sling a piano. In a speech before the Majlis, Rouhani stated that Iran could restart its nuclear program and exit the agreement if any further sanctions were implemented. So if 97% of these people have been able to return to their original homes already, then either the destruction wrought by the Syrian and Russian governments in the battle of Aleppo was greatly exaggerated or there has been a very intense rebuilding program. Either way, I’m happy for the Syrian people who are going home and will hopefully be able to pick up the pieces of their lives. LARRY WILKERSON: …but let’s face it, North Korea, as you’ve just described it is a place where these sorts of sanctions that the United States thinks it can use against very sophisticated, basically industrial or post-industrial economies, simply don’t have any impact, particularly when the two staples, the real things that North Korea needs to survive and regime survival is all they’re really interested in, are the heavy fuel that China provides them and the hard currency that they earn from the relationships they have with everyone from proper Chinese authorities to the Triads in China, the criminal gangs with whom they deal. The real message here has come somewhat sotto voce but nonetheless it has come from Tillerson and his comments recently and also from the president of South Korea. Those comments indicate that both men, Tillerson and the president are interested in talking with North Korea. The statements they’ve made reflect knowingly and smartly and wisely the program that former Secretary of Defense Bill Perry suggested in an interview with Senator Sanders on the latter’s radio show recently. That is that we have to negotiate. We have to talk. We have to have something we can give them, and they have to have something they can give us. A suggestion would be that the exercises in August we plan with the South Koreans for example, we would forgo those, we would not have them, in exchange for North Korea’s not doing any more nuclear tests or perhaps even any more ballistic missile tests in addition to that. That would be a good beginning. Then we could start talking about what North Korea is really concerned about and that is the fact they think the United States is going to attack them. They think these exercises on the peninsula are very provocative in that sense, and I would too, if I were in Pyongyang. I’m not excusing the criminality of this regime in Pyongyang. I’m just stating what is reality. ALLAN NAIRN: ….In many ways, Kim Jong-un is—comports himself like a crazy person, as does Trump, but there is an underlying rational incentive for the North Korean regime to get nuclear weapons, as [Director of National Intelligence Dan] Coats just acknowledged. You know, they always say there are no good options regarding North Korea. Well, there are no good military options. But as part of their goal of regime survival, one thing that the North Korean regime has always said is that they have two principal goals. One is to stop the U.S.-South Korean military exercises, which are provocative. And, two, end the Korean War. There’s an armistice now, but the Korean War is not formally over. That’s the kind of thing that, if the U.S. were serious, it could sit down on the table and—at the table and negotiate. Nairn goes on to comment on President Trump’s statement this week that appeared to threaten North Korea with a nuclear attack. Subsequently, North Korea threatened the island of Guam. PRESIDENT DONALD TRUMP: North Korea best not make any more threats to the United States. They will be met with fire and fury like the world has never seen. He has been very threatening, beyond a normal statement. And as I said, they will be met with fire, fury and, frankly, power, the likes of which this world has never seen before. Thank you. In more rational times, what Trump said yesterday would be an article of impeachment. There’s been a lot of talk of impeachment from some people up to now, for things like Trump’s crimes, like racism, injustice, stupidity, regarding the threat of climate change, all sorts of things. But, in a sense, all of those things fit within the normal parameters of the U.S. presidency. Lots of U.S. presidents, at one time or another, have engaged in talk and activities like that, although none so intensively as Trump. But with what he’s doing now, provoking North Korea, risking actual destruction of part of the U.S., he is violating the system’s rules on its own terms. He’s committing an actual threat against U.S. national security. And you would think that in just pragmatic political terms in Washington, that is the kind of thing that could be grounds for impeachment. But as long as he sits in that chair, it’s true, the commanders are obligated to obey his order. TIM SHORROCK: First of all, let’s go back to the report you mentioned at the top of the hour, which was this defense intelligence report that was leaked to the Washington Post today and reported on by three of their better reporters. I’m a little surprised by this report, because for one thing it’s clearly not the collective conclusion of the entire intelligence community. It’s someone in the DIA and there’s no real analysis of what they say. They just say it has this miniature warhead that they can now put on a ICBM. Well, they’ve said that before in years past. It hasn’t proven to be true and I’m wondering why this is coming out right now. That seems very dangerous on the face of it. Someone is trying to push, someone within the administration, within the intelligence community is pushing for a military response by leaking this kind of report. Sounds like Russia and China are still hoping against hope that the decisionmakers in Washington have some kind of reason that can be appealed to if they just say the right words and throw them a bone. I’m wondering if that hope is misplaced. Speaking earlier Wednesday on his way home from Asia, he [Tillerson] credited Trump with sending a strong message to the North Korean leader on the “unquestionable” U.S. ability to defend itself, so as to prevent “any miscalculation.” Tillerson insisted the U.S. isn’t signaling a move toward military action, while it pursues a policy of sanctions and isolation of North Korea. So who to believe? And how much clout does Tillerson have in the administration against the more aggressive members like Mattis, McMaster and Trump (at times) himself? How much longer will Tillerson remain as Secretary of State? Personally, I wouldn’t be surprised if Tillerson is gone by the end of the year. Members of the U.S. diplomatic staff in Russia will be expelled in the coming weeks, following an order on Friday by the Russian Foreign Ministry. The move was made in response to a new economic sanctions bill that passed in both houses of the U.S. Congress. 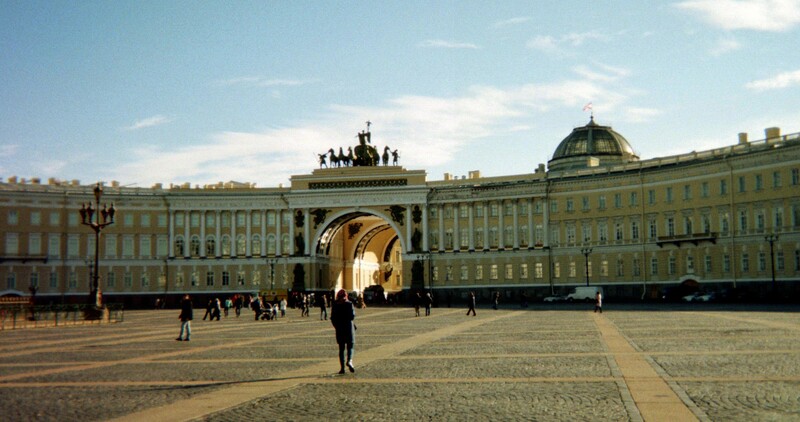 Russia said it would also seize two properties used by the U.S. Embassy by next week. Reuters cited a report by Russia’s Interfax news agency saying “hundreds” of employees would be affected, by the exact number was not clear. ….The new sanctions would impact the Russian energy and financial sectors, and the European Union has expressed concerns that they could also affect European companies involved in the building of a new pipeline from Germany to Russia. Just prior to the passing of the legislation, it was condemned by the EU president, Jean-Claude Junker, the French Foreign Ministry and the German Foreign Office, citing the undermining of European energy security, economic interests and violation of international law. BERLIN (Reuters) – New sanctions against Russia proposed by U.S. lawmakers and which could harm European firms violate international law and the European Commission should consider counter-measures, the German economy minister was quoted on Monday as saying. The German government and business leaders have said the new sanctions passed this month by the U.S. House of Representatives could prevent German companies from working on pipeline projects [Nordstream 2] that they say are essential to Germany’s energy security. Kommersant has reported that Moscow, among other actions, will retaliate by banning all American IT companies and all US agricultural products from the Russian market, as well as exporting titanium to Boeing (30% of which comes from Russia). In the short-term, this works to the advantage of the fracking gas lobby, because they were talking specifically about being able to fill the gap, perceived gap or possible gap, in European gas markets, by exporting, selling LNG, liquid of natural gas. That may be to their advantage of the gas fracking industry. It’s the European companies who are hopping mad at the moment, to be absolutely honest, but just in this last few months, the German exports to Russia have gone up 20%, despite sanctions. What this is doing is going back to the 1980’s when the Reagan administration tried to stop the building of the [inaudible 00:10:30] and the West [inaudible 00:10:32] gas pipelines to Western Europe in the first place. Then, posed quite severe sanctions, but the Germans refused to accept it. Now, what’s happening, this is going to drive a wedge between Europeans and the United States. …these sanctions are a declaration that US law is universal across the world. It isn’t just affecting US companies, it’s affecting any company initially, even which had a slight involvement in an economic energy project in which a Russian company was involved. After discussion, it went up to where Russian companies got about 35% engagement. It’s quite draconian, so it’s why I say, yes it’s [incremental 00:07:35] in some ways, but it’s a huge jump at the same time. I don’t know what has [seized 00:07:41] Congress in imposing these draconian measures, and this is only the beginning of the response. This is the first element. Putin himself is trying to keep these down, but he has been under enormous pressure. I was in Saint Petersburg a few weeks ago and even people with [inaudible 00:08:03] liberal views were saying, condemning Putin for not having reacted to Obama’s provocations at the end of December last year. He has done the minimum really to satisfy Russian public opinion who is, as you can imagine, over the last few months, just getting fed up with this, what they perceive to be craziness coming out from Washington. Listen to or read the transcript of the full interview with Professor Sakwa here. Will Germany really stand up to Washington this time? It’s not a foregone conclusion by any means. Time will tell. In the meantime, the deputy Foreign Minister of Russia, Sergei Ryabkov, told ABC News in an interview after the sanctions legislation had passed Congress that Russia may have to consequently consider alternatives to the U.S. dollar as a reserve currency. ….The action by the Congress to put these sanctions in place and the way they did, neither the President nor I are very happy about that. We were clear that we didn’t think it was going to be helpful to our efforts. But that’s the decision they made. They made it in a very overwhelming way. I think the President accepts that, and all indications are he will sign that, that bill. And then we’ll just work with it, and that’s kind of my view is we’ll work with it. We got it. We can’t let it take us off track of trying to restore the relationship. Congressional legislation in the area of foreign policy is always tricky, because while Congress can mandate and fund, it is the president who chooses the manner, style, speed and pace of execution. After all, Congress could authorize and all-but-insist upon the shipment of “defensive weapons” to Ukraine, but it could not compel President Barack Obama to actually deliver arms. Both Obama and President George W. Bush routinely used “signing statements” when presented with pieces of congressional legislation which had provisions that they opposed if they were not prepared to veto the entire bill. Bush and Obama have left President Donald Trump a bipartisan precedent of a chief executive using such statements to effectively reinterpret the intent of congressional legislation, particularly in designating congressional mandates as “advisory” when they believed that Congress was infringing on their Article II authority. This is not to suggest that Trump can simply negate sanctions on his own authority, but he can easily spell out in such a document how he understands the legislation and how he plans to carry out its provisions. Russia and Iran signed a $2.5 billion deal on Monday to start up a much-needed rail wagon production operation. The agreement was forged between the Industrial Development and Renovation Organization of Iran (IDRO) and Transmashholding, who is Russia’s largest rail equipment supplier. The two sides will set up a new joint venture, which will be 80% owned — although completely funded — by the Russian partner. Reinvigorating the transport sector is a key part of Iran’s vision to leverage its geographic position to become a vibrant hub of trans-Eurasian trade, which plugs nicely into China’s Belt and Road Initiative and Russia’s continued economic activity in the post-Soviet neighborhood. Iran is also a core partner, along with Russia and India, in the emerging North-South Transport Corridor, which seeks to create a multimodal trade route that would cut the lead time between cities on the west coast of India and St. Petersburg in half, and has also worked out its territorial squabbles with Russia over the Caspian Sea. Well, it sure doesn’t sound like Russia and Iran are wasting any time weeping over Washington’s scorn. They’re moving on with mutually beneficial projects in their own neighborhood. The Washington Post (7/19/17) took the lead with the article “Trump Ends Covert CIA Program to Arm Anti-Assad Rebels in Syria, a Move Sought by Moscow,” which framed the development almost entirely as a concession to the Kremlin. It cited Charles Lister, a hawkish analyst who has for years lobbied for US-led regime change in Syria. “We are falling into a Russian trap,” lamented Lister, who works for think tanks funded by the US, Saudi Arabia, Qatar and the UAE, and never fails to toe the line. Western corporate media compliantly echoed the Post‘s talking points: TheGuardian (7/20/17) declared “Donald Trump Drops CIA Program in Syria ‘in Bid to Improve Russia Ties’”; USA Today (7/20/17) said, “Trump’s Cutoff of Aid to Syrian Rebels Marks Victory for Assad, Russia and Iran”; “Donald Trump Ends Covert CIA Aid to Syrian Rebels in ‘Win’ for Russia,” the Telegraph (7/20/17) added. Now seems like a good time to review how Washington got involved in trying to foment regime change in Syria from 2011 on. Two excellent articles discussing this background have recently been published. The first is by the award-winning independent Middle East journalist, Gareth Porter, and appeared in the American Conservative – an outlet that is ideologically more in line with the Edmund Burke tradition of conservatism and supports a mostly non-interventionist foreign policy. The opportunity in this case was the rise of opposition protests against the Assad regime in spring 2011 and the belief among national security officials that Assad could not survive. The national-security team saw a shortcut to the goal. Former Obama administration official Derek Chollet recalled in his book The Long Game that Obama’s advisers were all talking about a “managed transition” and urging Obama to publicly demand that Assad step down, according to Chollet. What that meant to Obama’s advisers ws bringing pressure from outside, including providing arms to the opposition. That was wishful thinking not only in regard to the willingness of an Alawite-dominated regime to hand over power to its sectarian foes, but in regard to the assumed Iranian willingness to go along with toppling the regime. Not one of Obama’s advisers had sufficient understanding of regional dynamics to warn the President that Iran would not allow of Syrian ally to be overthrown by an opposition supported by Sunni states and the United States. Of course, designs on Syria by Washington did not start in 2011. As Stephen Gowans (author of Washington’s Long War on Syria) details in a presentation available below, it has been going on since the Cold War. Note: Gowans’ presentation begins approximately at the 10 minute mark.